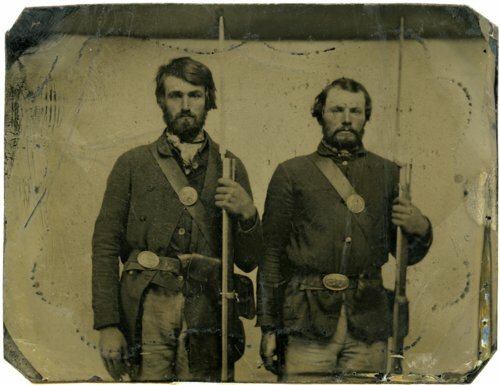 A tintype photograph of Louis 'Louie' Muehlenbacher and his brother Peter 'Pete' Muehlenbacher of Alma, Kansas in Civil War uniforms. Louie was killed by a falling tree in 1893. Pete was shot and killed in their log house in 1894.